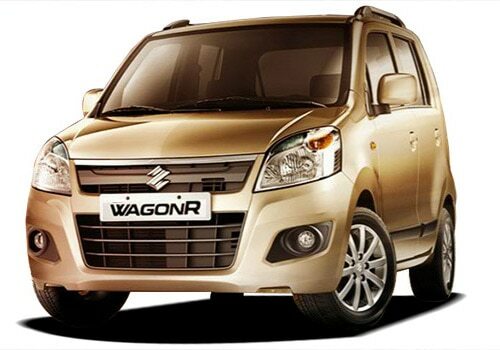 Maruti Suzuki has rolled out the newfangled, facelifted edition of one of its star seller vehicle, the Wagon R hatch. The outer appearance and the cabin area have all gone anew and nor Maruti WagonR price is tagged at Rs.3.58 lakh for the base variant,Rs 3.88 lakh for the mid one and Rs 4.13 lakh for the high end version. The complete variant range has now gone up by 10,000 INR e than its predecessor. The increase in price can be overlooked with the fact that Maruti has tweaked the engine a lit bit to make this tallboy hatch more fuel efficient and the the figure has gone up by a decent 8% figure and the fuel efficiency value is now tagged at 20.51kmpl figure. This tall boy hatch from the stables of Maruti is one of the bestseller that Maruti Suzuki India has in its portfolio not only that the vehicle also features in the top five models rating of the Indian automobile market. Maruti this time has gone out to its customers to know what changes they would like to see in their favourite hatch and then incorporated them in Wagon R, apparently the Japanese company opted for a regular customer engagement programmes to know what the customers want. After All a happy customer base is what sells your vehicle. Maruti Suzuki Wagon R is amongst the most popular Maruti cars and success rate can be realised with the fact that the vehicle has sold about 11K units a month in the April-November 2012 time period with the total sales figure reaching about 88,000 figure. With the refreshed version Maruti Suzuki Wagon R is likely to grab more market share and clock in more sales that the previous version thereby amplifying and strong holding the brand’s position in the Indian auto market. The newfangled Maruti WagonR pictures are more alluring when you look at the feature line-up along with the changes made to the exterior and the interiors of the vehicle making the vehicle fall into the upmarket product category. The front fascia of the vehicle is changes altogether to bring on board the all new small grille that comes with single horizontal slat and the standardized two slat grille seen on the previous version has been thrown out of the window. The air dams have also gone larger and the fog lamps have been located at a new place which has completely transformed the look and appeal of the front fascia of Maruti Wagon R. The look of the vehicle is more adult and has gone pretty similar to its sibling christened as Maruti Ertiga which was recently introduced in the Utility segment of the Indian car market. Once you slide into the vehicle and have a look around in the cabin area ones sees that Maruti WagonR features dual tone shade, the colors that are incorporated in this dual tone color pallete are black and beige. 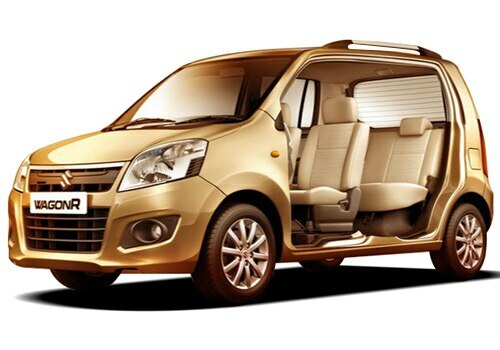 The base version have also got an all new dual shade fabric upholstery whereas the high end costly version of Wagon R is adorned with beige color fabric upholstery. Along with the chic and classy beige color upholstery the top end version comes incorporated with a top notch audio system that arrives with USB compatibility and refreshed rear view mirror with a Day Night notch.